Just Romantic Suspense: “The Villain is the hero of their own story." “The Villain is the hero of their own story." I don’t like getting inside the heads of villains. Reading about the heinous things a human beings can do to another doesn’t thrill me in any way. Dang, I don’t like it when someone breaks the rules…let alone when they kill for the hell of it. So creating a believable serial killer always surprises me. I’d much rather concentrate on the heroes (both men and women) who capture them. Villains need to be created like all the characters in a story. When I first began writing, I tended to blurt out WHY the bad guys did what they did at the end of the book. Until I heard Robin Perini’s Story Magic presentation. Then something clicked. Villains each have their own quirks, and need proper motivation–not just a believable way to be bad. Researching / reading why bad people do bad things sometimes depresses me as a person. My subconscious works harder on these things than I could ever force myself to think about them. But it’s also the reason I love happy and fun books and programs, too. I didn’t want to leave you with that sick-o feeling pit in your stomach. So here’s a cut video about the real voices behind Scooby Doo. Scooby (as many of you know) was one of the shows of my childhood that influenced my creative abilities. I think it contributed to my new series BODYGUARDS IN HEELS which is a mash-up of my favorite things to read: a little magic, a little comedy, a little suspense and a whole lot of love. Emma Tolbert has been chomping at the bit for her first big case at Bodyguards in Heels. She’s taken the classes. Got her certifications. Practiced until she has the best score on the gun range and can even toss her karate instructor. Who cares if she has no idea how to use her woo-woo power to understand her souped-up memory? 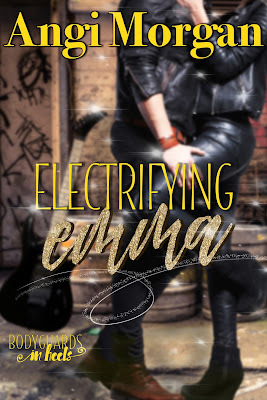 When she’s specifically requested by Grayson Lee’s management, she jumps at the chance to join the country singer’s protective team. She’s psyched until she discovers she’s been hired to babysit…a guitar. Just her luck that the smexy singer won't let it out of his sight. 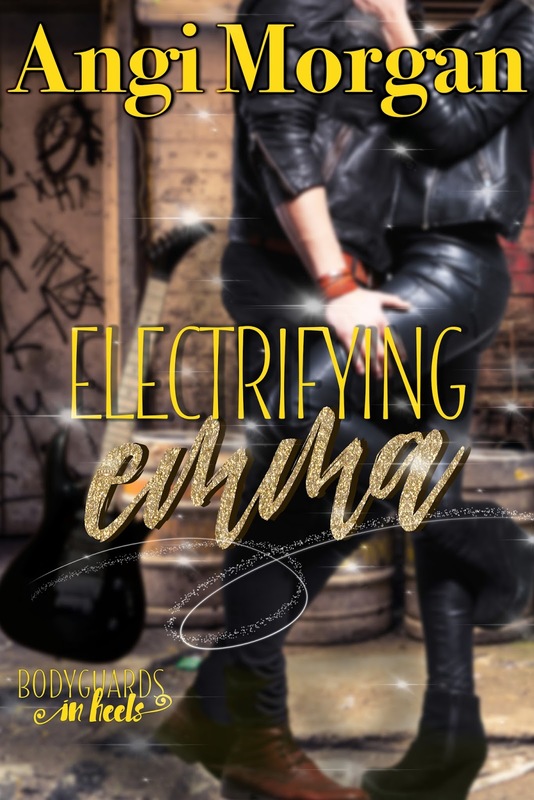 Country super star Grayson Lee is riding high...until the man who pulled him off the streets and taught him how to be on top of the charts vanishes, leaving behind one of the most famous guitars in country music. To honor the passing of his mentor, Grayson is determined to play the guitar at a low-key benefit for servicemen and their families. But when threats begin, his insurance company makes crazy demands and sends a striking female bodyguard. He’s pretty sure he can protect his own dang guitar. It’s protecting his defenseless heart that has him worried. 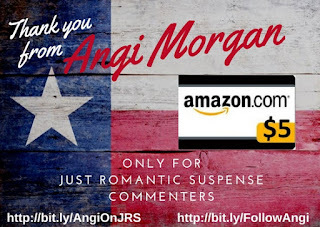 ANGI MORGAN combines Texas settings with characters in realistic and dangerous situations. Bodyguards in Heels is a smash-up of her favorite things to read: a little magic, a little comedy, a little suspense and a whole lot of love. She packs up her husband and rescue dogs for road trips to locations she’s writing about. They have a goal to travel roads they’ve never traveled and find the best pie in the Lone Star State. Contact her via her website or other social media. Leave a comment to be entered for the $5.00 Gift Card (international drawing ends 5-16). Enter the Rafflecopter drawing for your chance at an additional prize (ends 6-1). WHICH IS MORE SCARY WHEN YOU’RE READING? BEING IN THE VILLAIN’S HEAD OR NOT KNOWING WHO THEY ARE? I like being in the Villain's head to get an idea of what is motivating them. That's awesome Janet !! Sometimes it's the only way to get that motivation across. I love to read villain's POV, although there is one exception - when children are victims. I don't want to know why someone would harm a child. Oh man, you're right about that !! My imagination doesn't work in that area either. You manage to make the villains so believable - sometimes, I just want to reach through the pages and shake them. Okay... thanks for stopping by. I think being in the villain's head is more scary.